As a favorite way to travel among the rich and famous, luxury super yachts are host to an abundance of amenities. Whether chartering or owning, vacationing on a yacht promises seamless travel and endless entertainment. With summer in full swing, here is a list of 5 yachts the super-rich should find themselves on this season. Custom built by Blohm + Voss shipyards in the early 1990’s, the Lady Moura is most recognizable for its 24-karat gold lettering name on the sides and rear of the yacht. 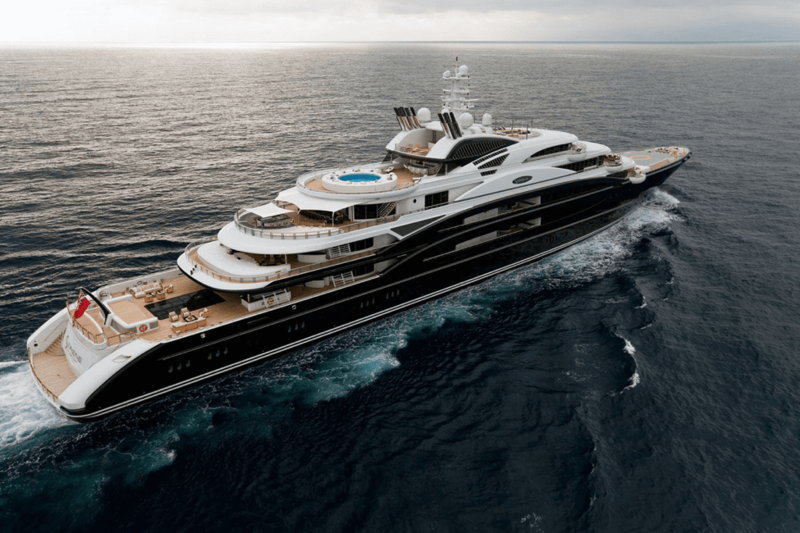 The 344-foot yacht features a pool, a S76B helicopter, and a sand-covered hydraulic platform encompassing the luxury of a private beach that can sit right at the waterline. 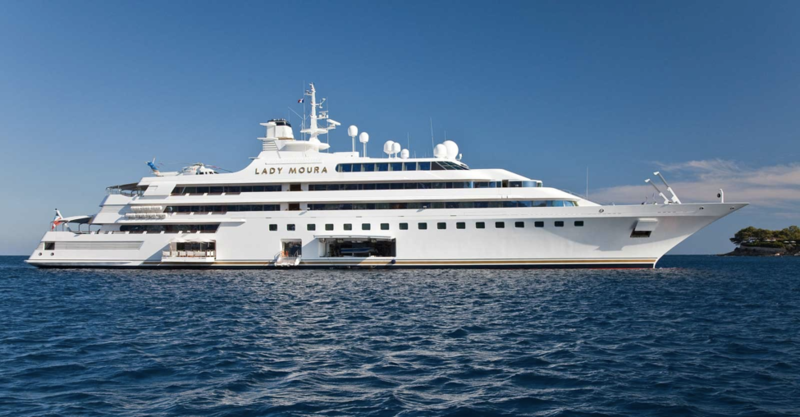 The Lady Moura can accommodate up to 30 guests and can carry 60 crew members. It is priced at about $200 million. 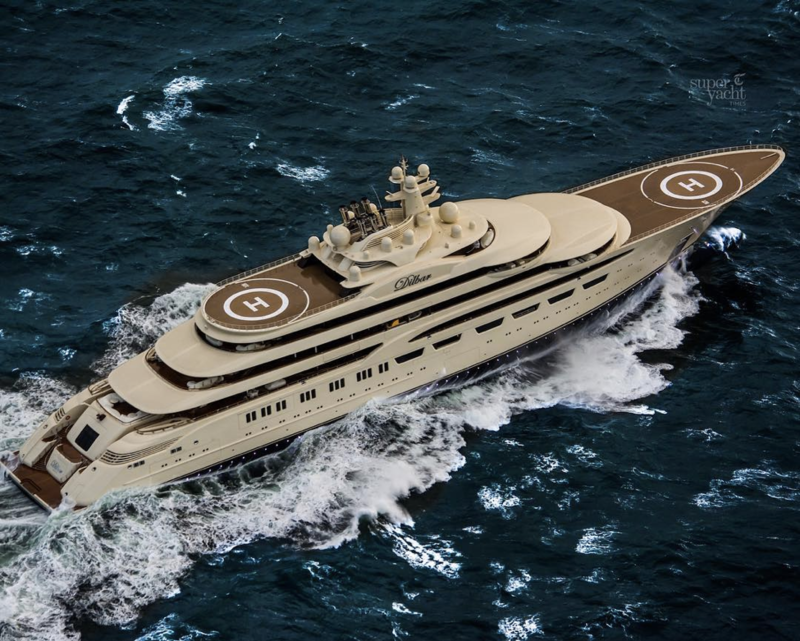 With a price tag of $256 million, The Dilbar superyacht is one of the world’s largest yachts at over 500 feet in length. Comfortably accommodating 40 guests, the Dilbar has about 41,000 square feet of living space, two helipads, swimming pools, and more luxurious features. 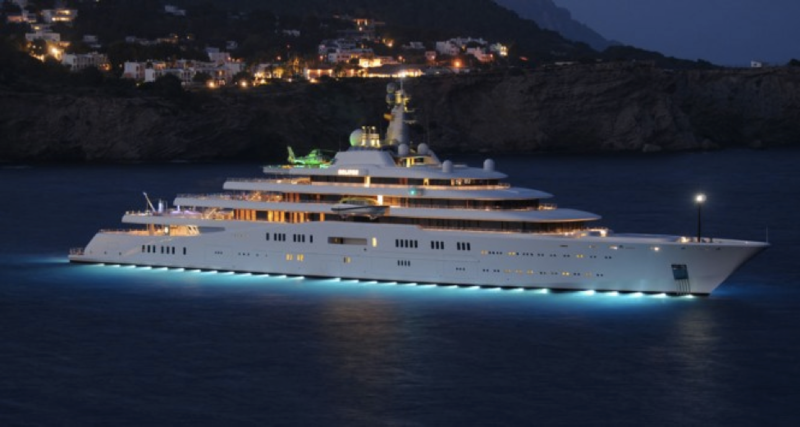 Estimated to be priced at over $1 billion, the Eclipse is one of the most expensive yachts in the world. 24 guest cabins, two swimming pools, hot tubs, and a mini-submarine are just some of the features guests will experience on board the Eclipse. For maximum security, the yacht is equipped with intruder detection systems as well as a missile defense system. Additionally, the master bedroom features bullet proof windows and an anti-paparazzi shield surrounding the yacht ensures complete privacy and security. As Sanlorenzo’s first explorer yacht, the 460EXP has a range of more than 4,000 nautical miles and a maximum speed of 16 knots. Amenities include a swimming pool, a gym, sauna, and three large decks. 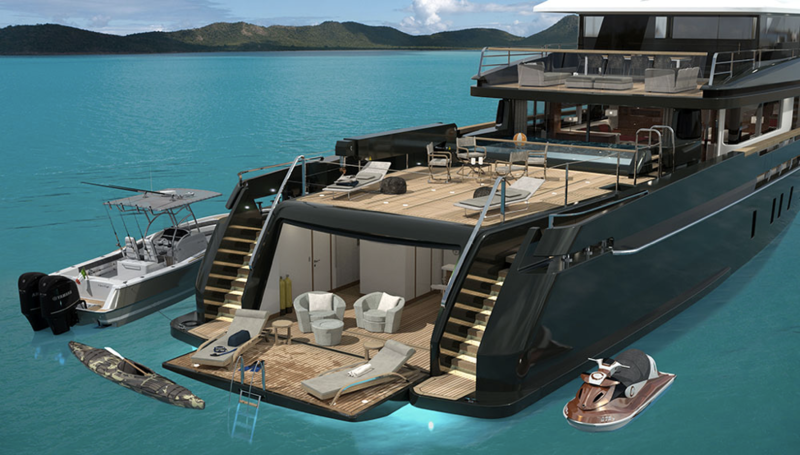 The 460EXP can accommodate up to 12 guests with a crew of nine members. The 460EXP is eco-friendly as it can be anchored for long periods of time without using the generators, reducing emissions. The SOVEREIGN served as home base for Magellan Jets at the 2018 Palm Beach International Boat Show. The 180′ mega yacht SOVEREIGN is packed full of upgrades as she underwent a massive refit in early 2017, including a contemporary-styled main deck featuring a large main salon and dining area, creating the perfect relaxation area. The upper deck hosts a panoramic sky lounge with almost 10 feet of headroom. Her sun deck has incredible seating and lounge space, as well as a full-service wet bar and an infinity-edge pool and Jacuzzi for guests to spend all afternoon in or even to enjoy a post-dinner cocktail. 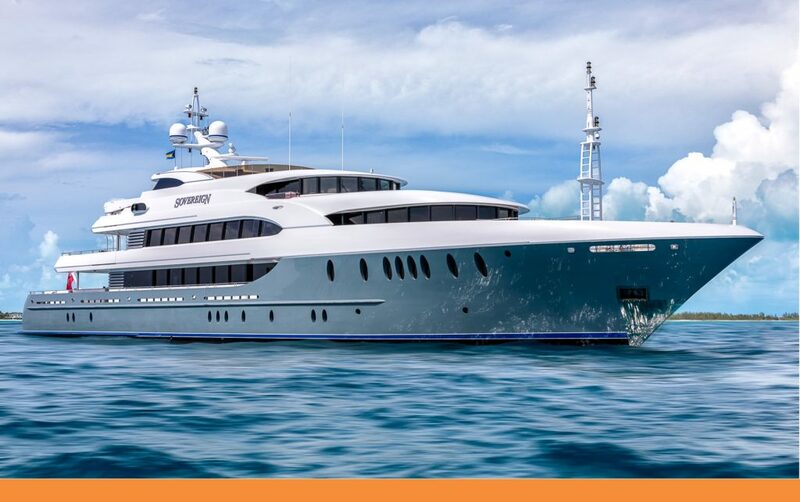 Additionally, Motor Yacht SOVEREIGN offers a full compliment of tenders and toys. This luxury liner features ten suites, each with an adjoining bathroom, living room, and bedroom. In total, the suites can accommodate up to 24 guests and there are 55 additional rooms to house crew members of the yacht. Amenities aboard the Al Mirqab include a cinema, swimming pool, jacuzzi, sun deck, outside bars, helipad, and water sports equipment. It is priced at about $250 million.